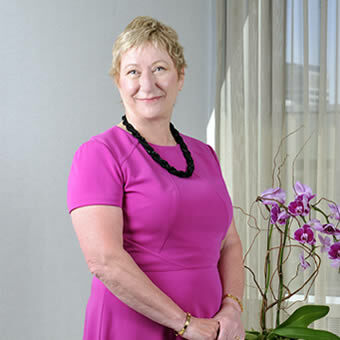 A partner and co-founder of WK Family Lawyers, Barbara J.H. Widdowson Q.C. was one of the first practitioners of Family Law Alternative Dispute Resolution in Alberta. She has extensive experience in all areas of Family Law, including Litigation, Mediation and Arbitration. Having practiced family law exclusively since the early 1980s,she can be retained by both parties to act as a Mediator or an Arbitrator, or by a single party to act as Counsel, advocating on her clients’ behalf. Barbara believes that all legal professionals in the field must use creative approaches to better empower their clients to work through what is often the most difficult time in their lives. Court intervention may be necessary, but should be the last resort in Family Law matters. Barbara has been an instructor in Family Law for CPLED (the bar admission course), and for the Red Deer College Family Law Course. She has written articles and presented for the Legal Education Society of Alberta, the Canadian Bar Association, the National Family Law Program and the National Judicial Institute. A fifth generation Calgarian, articled to J.V.H. Milvain, Chief Justice of the Trial Division of the Supreme Court of Alberta. She was called to the Alberta Bar in 1976 and was awarded her Queen’s Counsel designation in 2006. She has been active on Committees of the Law Society of Alberta, including The Family Law advisory Committee, the Conduct Committee and the Trust Safety Committee. Barbara’s expertise has been repeatedly recognized by Best Lawyers in Canada, and the Canadian Legal Lexpert Directory.